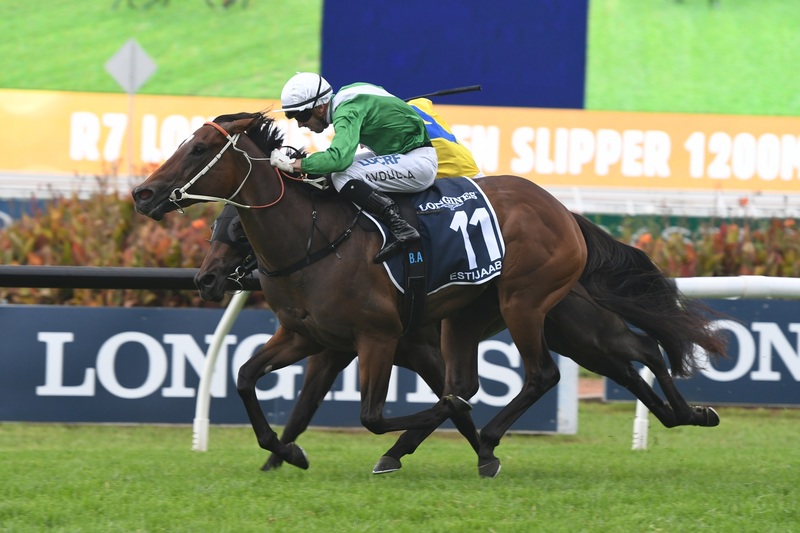 The iconic Longines Golden Slipper has reached new heights, with an all-time record number of first nominations taken by Australian Turf Club for the 2019 event at Rosehill Gardens. A total of 2452 horses have been nominated for the $3.5 million Longines Golden Slipper, the world’s richest race for two-year-olds to be run at Rosehill Gardens on Saturday, 23 March 2019. The 1205 colts and geldings and 1247 fillies entered for the 2019 Longines Golden Slipper represent a 12% increase on the previous year’s total of 2197 first nominations. The first nominations are also a record in the race’s history, well up from the previous mark of 2216 first nominations in 2007. Leading stables and trainers from across Australia with the highest number of entries include Godolphin with 140 entries, followed by David and Ben Hayes and Tom Dabernig (136), Gai Waterhouse and Adrian Bott (106), Chris Waller (91), Tony McEvoy (87), Snowden Racing (86), Mick Price Racing and Breeding (75), Ciaron Maher Racing (69), Darren Weir (65) and Hawkes Racing (52). Sires with the highest number of entries start with Snitzel at 112 nominations, followed by I am Invincible (105), Deep Field (100), Fastnet Rock (82), Not A Single Doubt (74), Rubick (69), Dissident (68), and former Longines Golden Slipper winner Sebring (64). By Australian states and territories, the nominations are from NSW (1386), Victoria (635), Queensland (257), South Australia (116), ACT (13) and Western Australia (5). Nominations have also come from New Zealand. Australian Turf Club Acting CEO, James Heddo, said the influence of the $3.5m Longines Golden Slipper on Australian racing was as strong as ever: “The Longines Golden Slipper is what every owner, trainer and breeder dreams of and wants to win from the moment a horse takes its first steps," Mr Heddo said. “These record nominations fully support the ATC’s determination to continue to put the Longines Golden Slipper on the pedestal it deserves. More than ever, the Longines Golden Slipper continues to shape the Australian racing and breeding industry like no other."